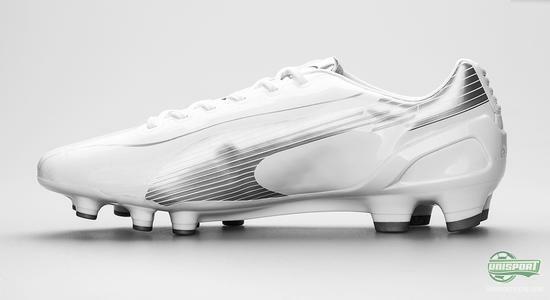 Bayern Munichs daunting dangerman, Mario Gomez, has already given the new boot its début and now we can finally officially unveil it: Puma EvoSpeed 1 White/Silver. 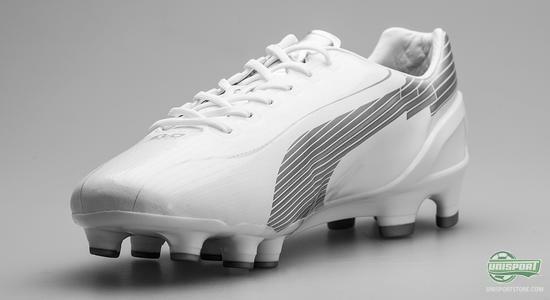 It's designed exclusively for the German striker and will therefore be the only one of the Puma flock, who will be allowed to use it. Lately there has been no stopping Mario Gomez, whose career has been going full throttle and the always prolific striker, only looks like getting better and better. This has of course not gone unnoticed by Puma and they have rewarded Gomez with an exclusive colourway. 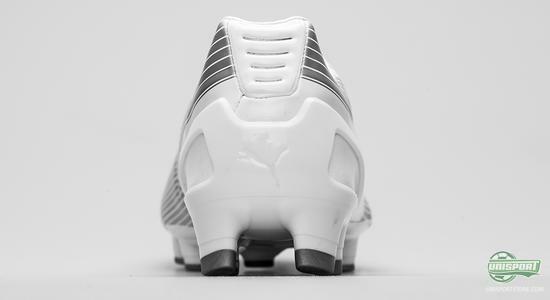 It's his favoured boot; Puma EvoSpeed 1, that has landed in a super stylishly clean and cheeky White/Silver colour combination, which we will see in action from now on. 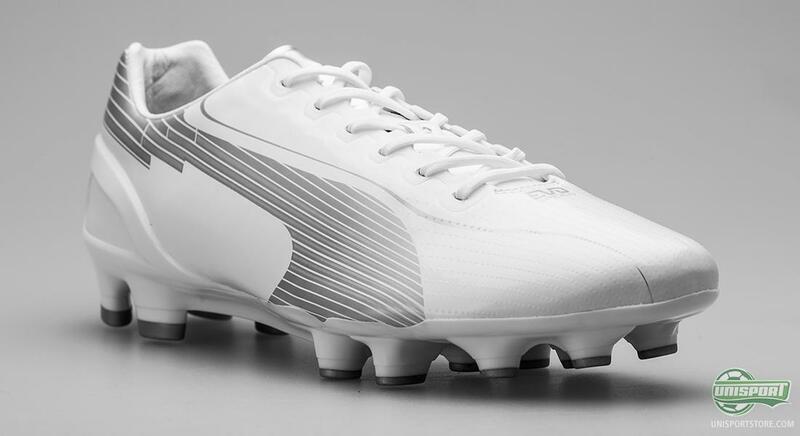 Puma EvoSpeed 1 is the German brands shot at a lightweight boot, which they definitely achieved, but without compromising on their renowned and usual standards of comfort. They managed this by building it up around three focus areas; Light, Fit & Flex. With a weight of just 190 grams it is safe to say, that it can easily tick of the first box. Furthermore Puma have chosen to go for a Duoflex-soleplate, that gives a formidable flexability, which lets us tick of the second box. Now we are just missing the last of the parameters: Fit. And here we can be quite frank, as Puma hit the nail right on the head. Taking into consideration that this is a microfibre boot, that weighs just 190 grams, then the comfort is of a really high order. 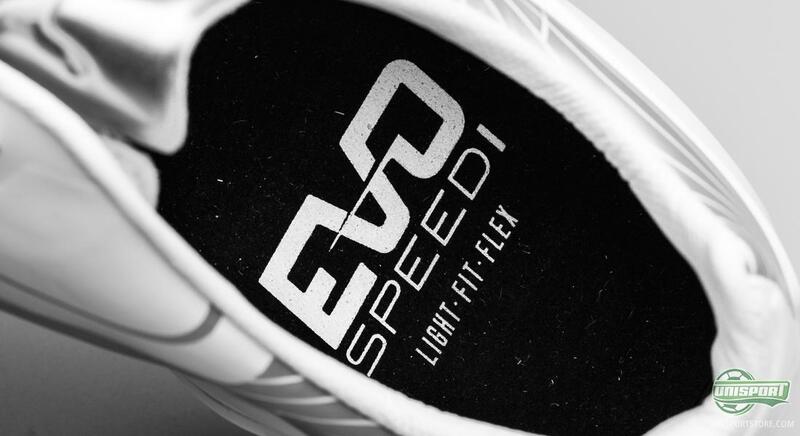 The last is marginally broader than most other lightweight boots and this also makes it an excellent alternative if you have slightly bigger foot, but still wish to use a speed boot. Pumas EvoSpeed collection has been given a massive amount of support by some of the worlds biggest stars. Radamel Falcao, Sergio Agüero and naturally also Mario Gomez are just a few of the many players, who have all taken to using the boot. The last mentioned of the bunch prefers the microfibre version to leather and that's why this colourway will only land in a microfibre. 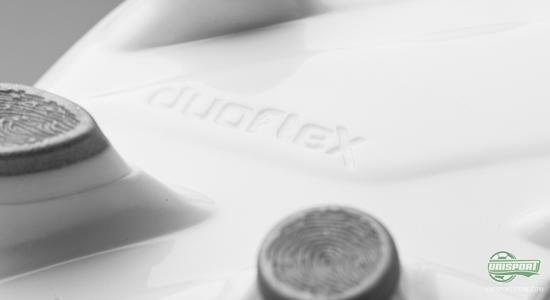 The formerly mentioned Duoflex soleplate stretches all the way around the heel and forms a external heel-cap. 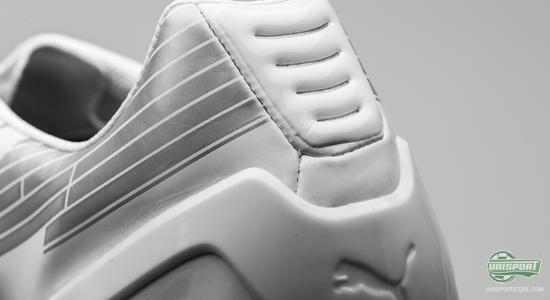 This not only gives excellent protection from kicks from behind, but also add to the boots flexability. 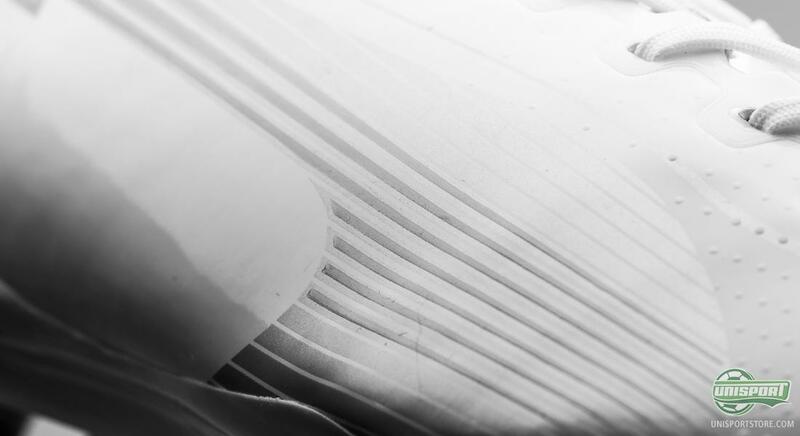 The boot follows the foots natural movements and this is something you will feel in the small and sharp turns. 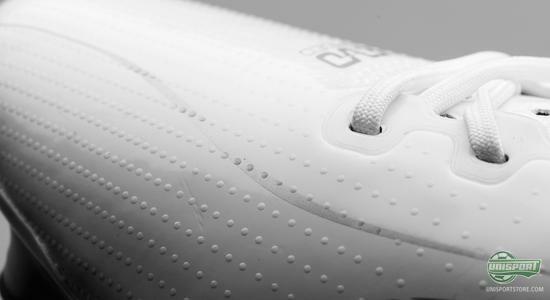 On the front foot of the boot, the microfibre upper has been given a textured surface. 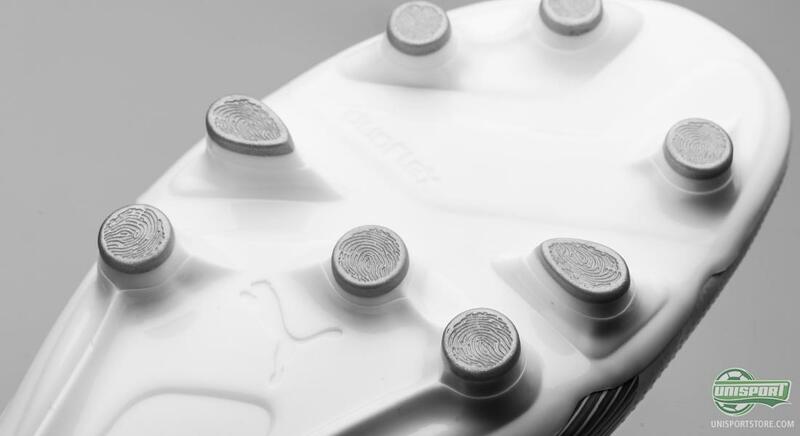 This improves ball control, as the friction between boot and ball is increased, so you can retain possession far better. This is also something, that should benefit you wet weather, where the tiny buds give you much improved grip too. The stud-configuartion combines classic, conical studs with the peculiar, yet genius, tear shapes studs. 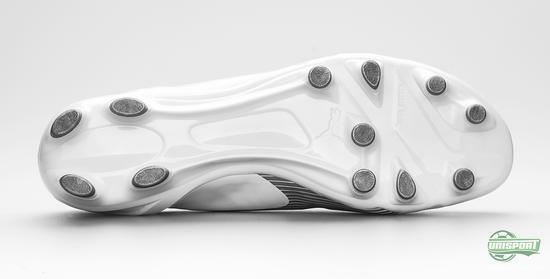 This gives an exceptional balance between good grip in the pitch and super stability, that helps you with the comfort. 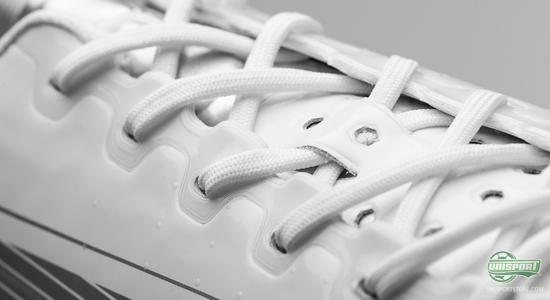 The conical studs give you the necessary predispositions for smart twists and turns, as they glide through the grass with ease. We are looking forward to seeing slam in the goals with his new boots and laud him with the same attention, as Puma did when they celebrated his recent scintillating form, with an exclusive colourway. 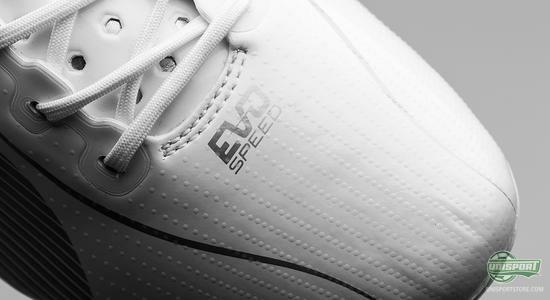 What do you think of his EvoSpeed 1 White/Silver? Share your comments and thoughts in the box down below.